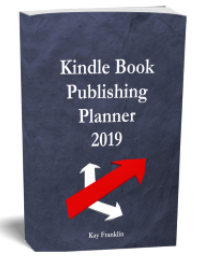 If you are struggling to design your own Kindle book covers, eCovers or headers then read on because I have created a great package with lots of templates for you to use. For quite a while now I have had the rights to sell a great package of professionally designed Ecovers and headers but there was a problem with them.. They were only suitable for those owning Photoshop. I don’t have Photoshop myself so I couldn’t use them and I am sure there are plenty of other people in the same situation. Therefore the other day I decided to edit the Photoshop files so that I could use them myself and of course let anyone else use them as well! (I have the rights to edit the files by the way). This is what I have done. I have modified the files so that they can be used in Paint.net which is the free software I use and I have also converted the files into JPEG files just in case anyone wants to use them with different free software such as Gimp. Here is a video I created showing you how to use the templates in Paint.net since this is what I use. Of course you can use the Kindle book format files for Ecovers if you want to and if you have Photoshop then you can use the Ecover templates for Kindle books (just use the dimensions 625 x 1000 px). So everyone’s happy! The headers match the Ecover design so that they can be used on your website if you want to create a specific site for your book. Or if you have a series of books then this would work well. There are 10 different designs with various colours for each. So if you hate the thought of creating graphics for your sites and ebooks and want to keep your costs down then this package is for you. 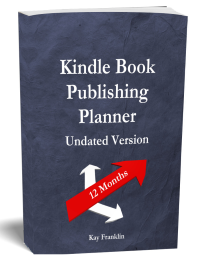 You can quickly & easily create professional looking Kindle/Ebook covers and header graphics without having to rack your brain trying to come up with ideas. If you want to create nice looking Kindle book covers, Ebook covers or Headers then grab this huge package for just $10.